Mr. G. is your Personal Stylist and Style Associate representing J.Hilburn menswear in Hudson, MA. Life is full of challenges. Your wardrobe, however, shouldn’t be one of them — and that’s where I enter the picture. I’m here for the guy who doesn’t have the time (or, perhaps, the inclination) to find clothes that fit his lifestyle or body type. And whether that means helping decipher a dress code or select the most flattering suit, I’ll always shoot straight. Delivering quality is my business, and I like to think I’m pretty darn great at it. 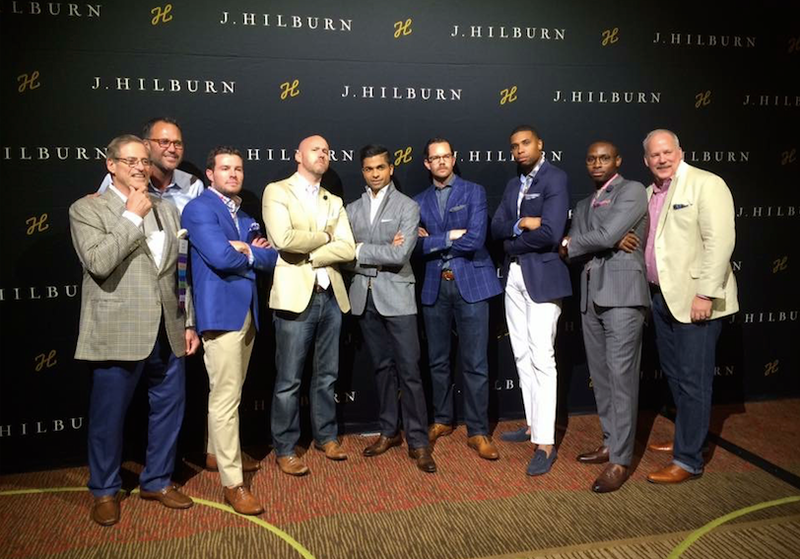 J. Hilburn does too, which is why the company offers a 100% guarantee. When it comes to initial impressions, your clothes say just as much as your words — and a wardrobe comprised of well-fitted, well-tailored, and well-chosen options conveys confidence. Let the act of getting dressed provide an opportunity to present the best possible version of yourself to the world. You’ll find that looking good and feeling good are intrinsically linked. Start with one of our shirts, and you’ll see what I mean.